During World War II, most American unions honored a labor peace. 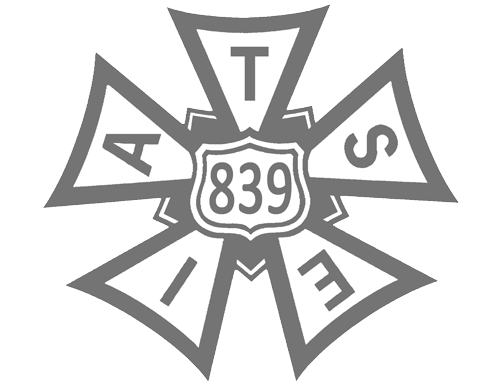 As the war drew to a close, the CSU and IATSE headed for final confrontation. Now headed by Sorrell, the CSU smashed itself to bits in several citywide strikes. 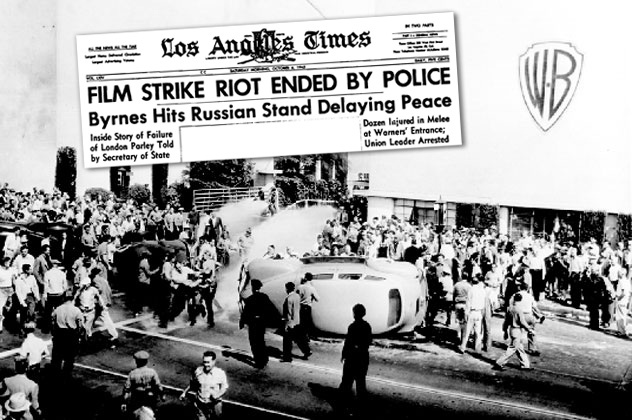 On October 5, 1945, 3,000 film workers fought the Burbank police in front of the studio. 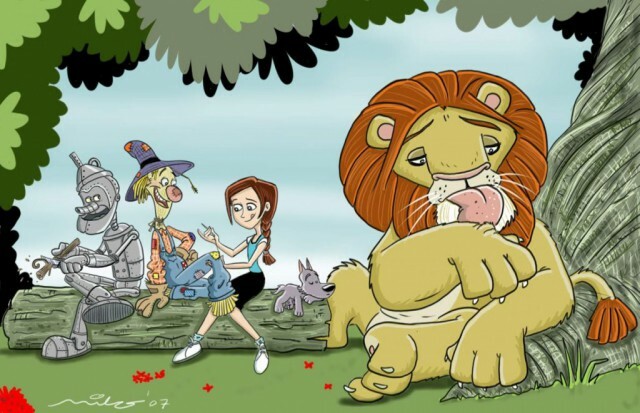 Although the Guild did not strike, animators picketed and gave assistance. October 5, 1945, 3,000, strikers attack a studio policeman’s car trying to break through the picket line at Warner Brothers Studio. In New Rochelle, N. Y., members of the Guild’s East coast branch struck the studio known for Mighty Mouse and Heckle and Jeckle. 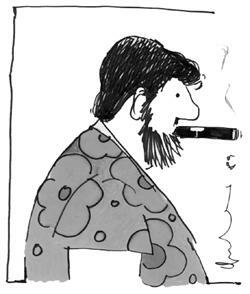 The strike lasts eight months—the longest cartoonists’ strike in history. Although the strikers returned to work without a settlement, eventually Paul Terry is forced to sign. Left: Jim Logan walks the Terrytoons picket line back in 1947. Right: Anonymous anti-union cartoon published in support of the union.